Social media is a great way to educate others about NF. Please take the time to join our social media pages and keep yourself up to date on our current events. Twitter @mbnfsupport and Facebook at MBNF are the most active sites. These pages are fully interactive and we encourage you to comment on different articles and videos that are posted. 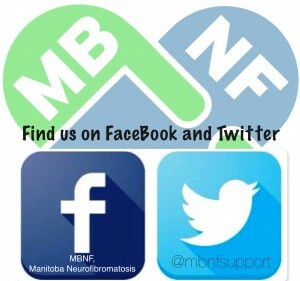 This also gives us the opportunity to share our experiences, questions and knowledge about NF in Manitoba and throughout the world! We look forward to seeing you join our community!